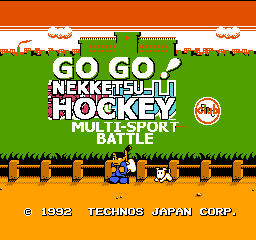 This is a hack of the translation Go Go! 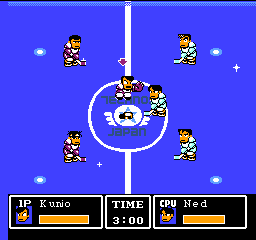 Nekketsu Hockey Club. 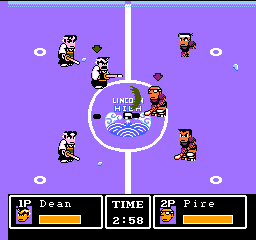 all players skills, looks, shots etc. The Story mode text is unchanged. 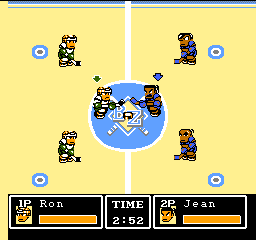 This hack is a similar to the Technos Ice Hockey Reloaded hack. 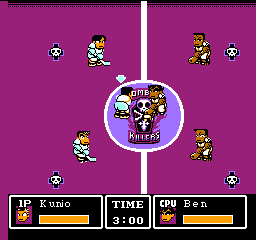 added special patch [cpu] now you can play 2 player mode against the cpu with any team you want against team and players.